Step up your bathing experience with our slightly larger 60 x 36 combination bath. 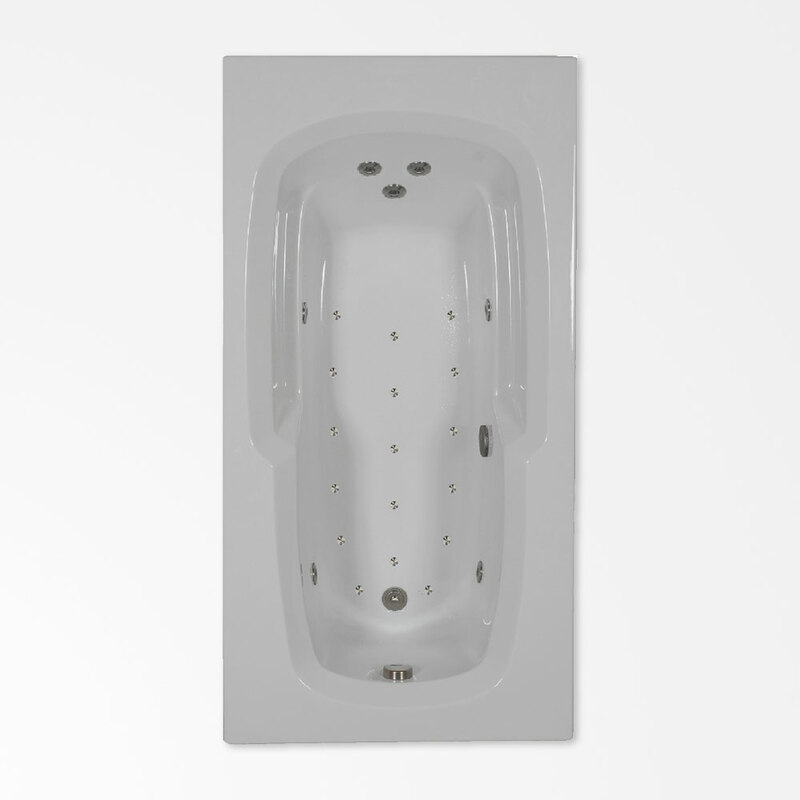 Allow yourself to be cradled by this tub’s lumbar curve and contoured armrests. Enjoy the sensation of being surrounded by seven hydro-therapeutic jets massaging your back, thighs, knees, and calves, while heated bubbles ease muscle tension. Still ideal for smaller bathrooms, the added width provides you with more room to stretch out. Plus, it is deep enough for you to sink your body up to your chin in the water. Make the most of your bathroom footprint by providing just a little more space for this high-quality combination tub.